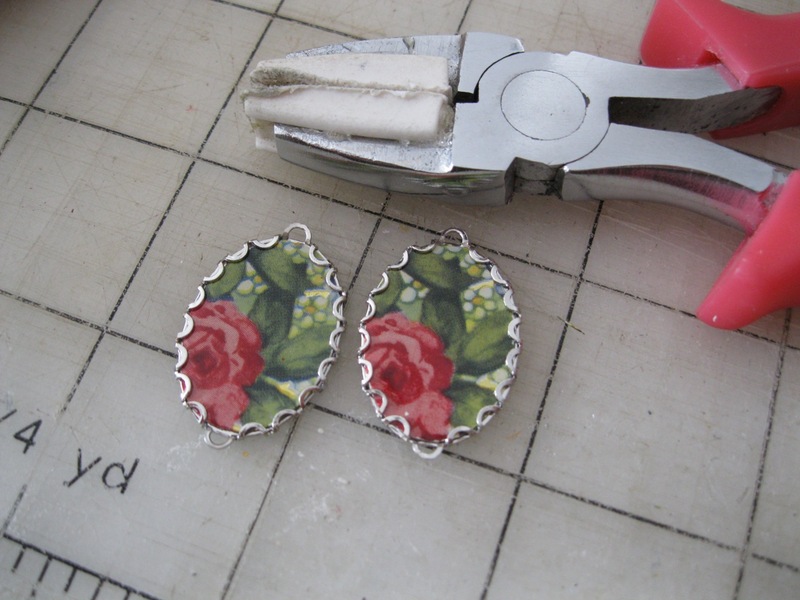 Constance, from Studio C Jewelry & Gifts has a wonderful Tin Earring tutorial for us today! Be sure to check out her beautiful items in her Etsy store here ….or next time you’re in Baltimore go visit her shop at 4337 Harford Road, Baltimore, MD 21214! 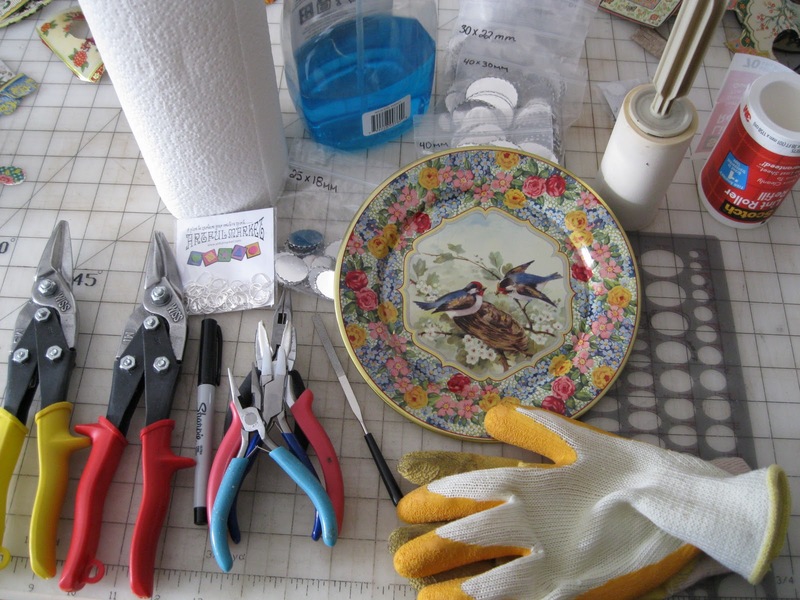 All of the above items can be found at your local hardware store, office supply store and on Etsy. Step 1: Safety First! 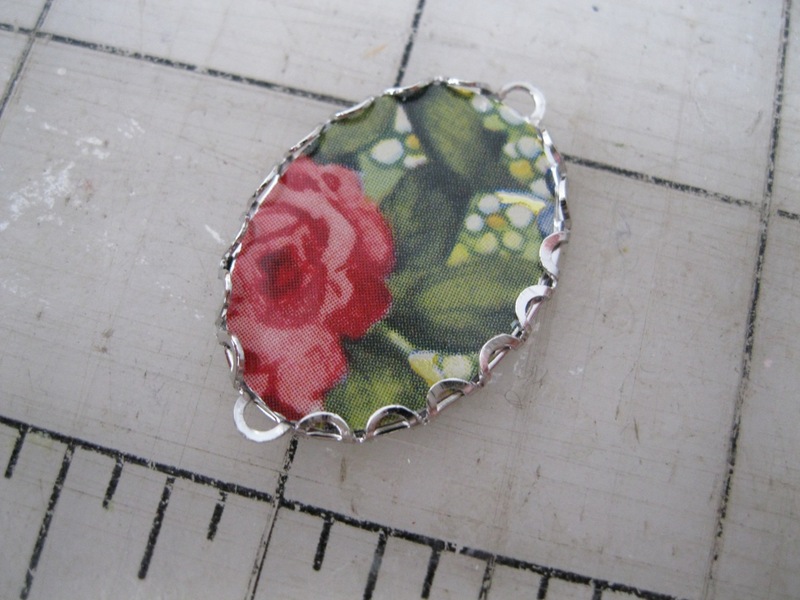 Tin tends to produce lots of tiny splinters and shards, so wear protection!! Step 2: Clean the tin with the spray cleaner and paper towel, dry off before marking with Sharpie. 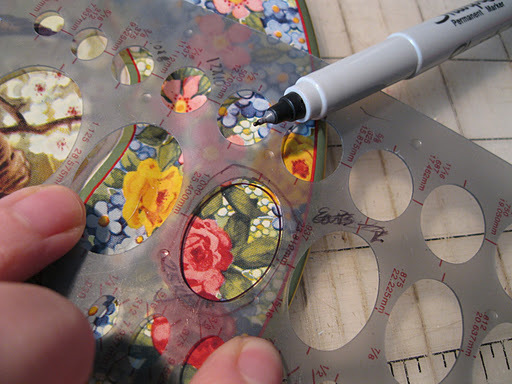 Step 3: Using your template, choose a design on the tin and mark your oval and/or circle with the Sharpie pen. 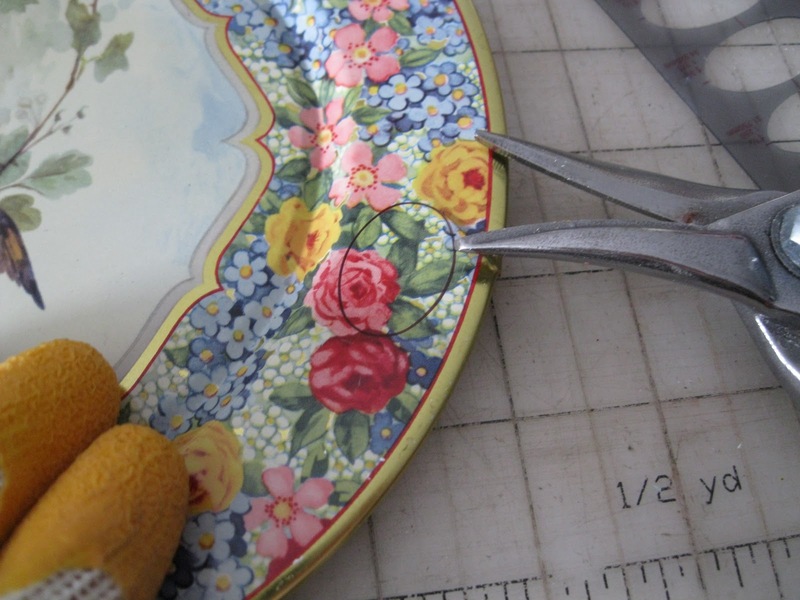 Step 4: With the tin snips (I’m right handed, so I’m using the “go-left” snips that work for right hands – there are left-handed tin snips as well) cut through the tin and work as closely to the black line of the pen as possible. 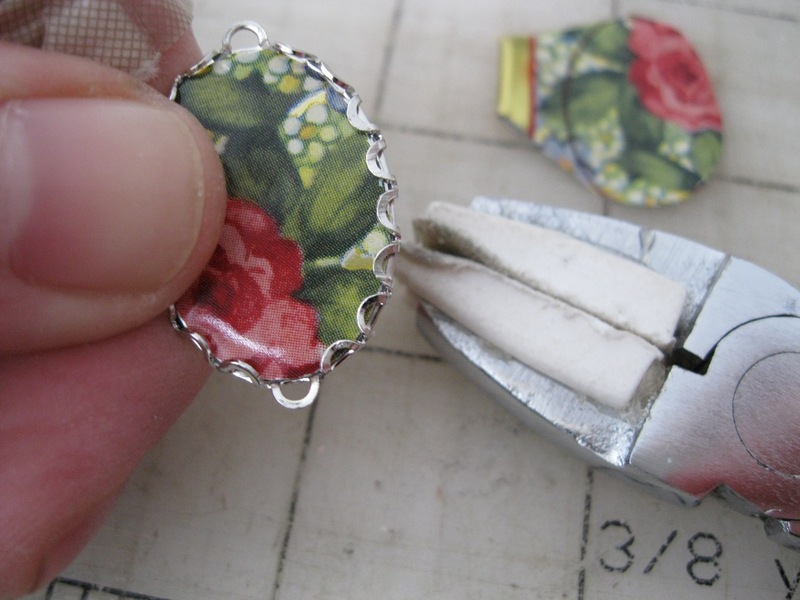 Just so you know, some tin is really difficult to cut as it can be pretty thick and can be a bit painful. Canisters are usually thinner than trays. Step 5: Clean up any tin shards or splinters with the lint roller. 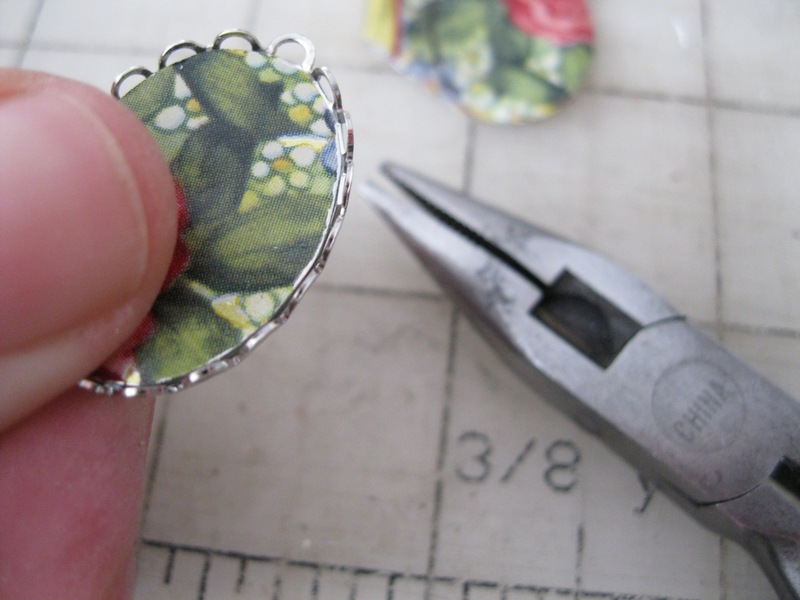 Step 6: Cut and file the tin to fit into the lace setting. 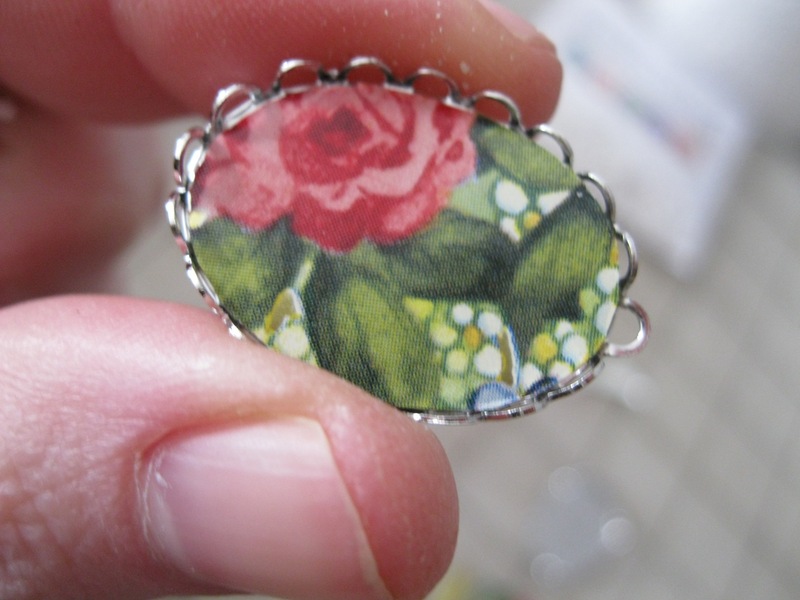 Step 7: Pull back the lace loop where you want it to hang from the earring finding and also where you might want to place a bead (though this step is optional). 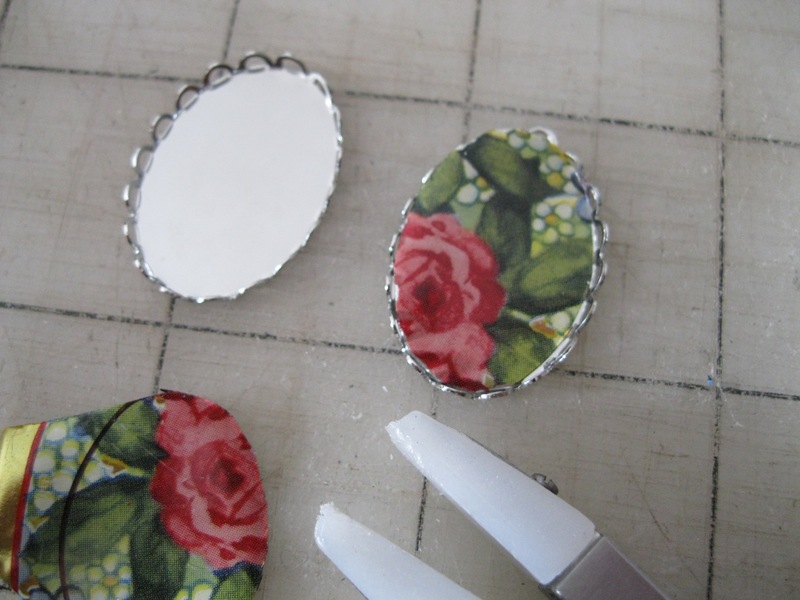 Step 8: With the tin now in the setting, use the pliers in a closed position (hold them closed) to push the lace down over the tin without pushing it all the way down. 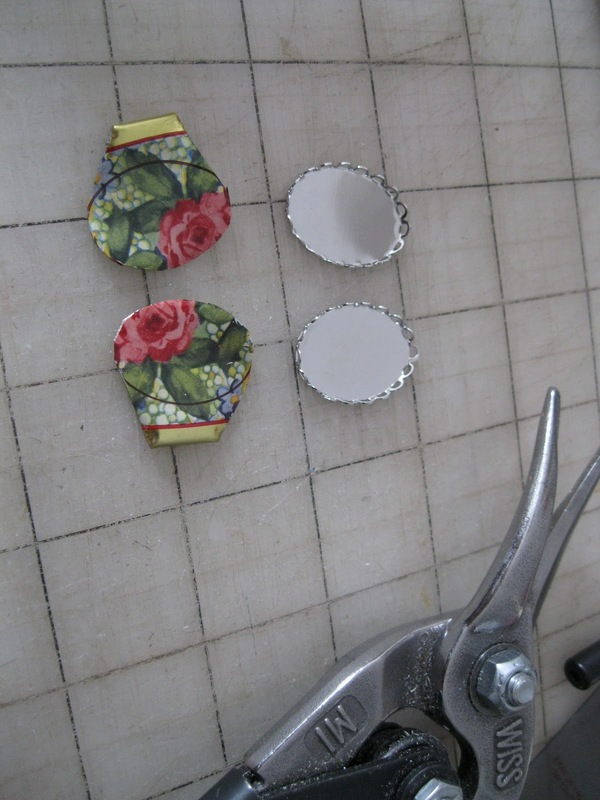 Use the padded pliers to crimp the lace on top of the tin. Step 9: Open the loop on the earrings (I’m using leverbacks, but any earring finding will do) and place the tin on the finding and close the loop. Step 10: If you are placing a dangle at the bottom, like I did, thread a bead onto a headpin and then loop it around the lace loop and wind it closed. 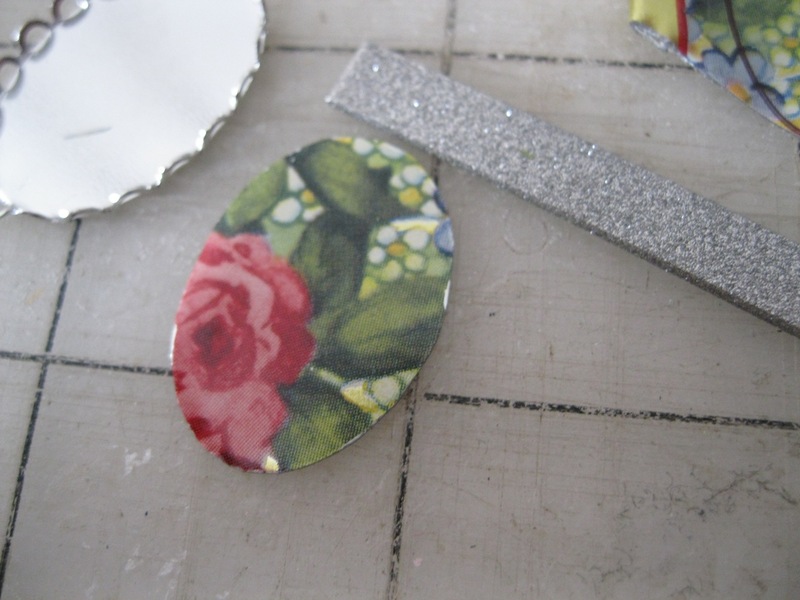 Step 11: File off any sharp spots from the setting, you’ll be able to feel the roughness with your fingertips. Final Step: Wear & Enjoy! WOW! I never would have guessed you could make jewelery out of something like that! What a neat idea. I love it! That plate has a lot of great possibilities! 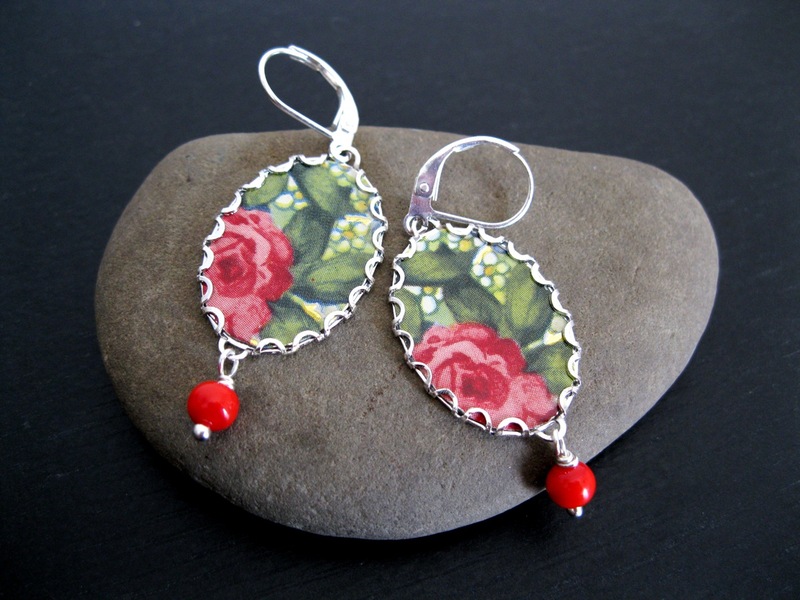 What sweet little earrings! I love them!